Instruction For Use: Use as per recipe. Storage: Keep in a cool and dry place. Ingredients: Mustard Green, Sugar, Preservative (E220). 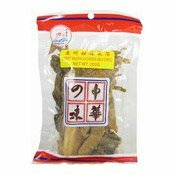 Simply enter your details below and we will send you an e-mail when “Sweet Mustard Greens (Mui Choi) (小魚兒甜梅菜芯)” is back in stock!